Well ladies, it’s the end of the month- so it’s time for a review of all my outfits. I’ll be back tomorrow with a Reader’s Request- so be sure to drop by then to help a reader with what to wear to Disneyworld! Hello friends! After an incredible weekend in Northern CA, I am now home- and am utterly exhausted! Can I just tell you how adorable Carmel is? If you haven’t been- GO! A special thanks to my dear friend Heidi for hosting us all weekend. She is an awesome travel guide and we had a blast. Thank you! As for today’s outfit- I’m wearing my ever favorite maxi dress again. It’s from the Gap- and it’s a gorgeous shade of blue (hard to tell in photos). This is actually what I wore on the plane yesterday. In order to be comfy and warm- I threw a cardigan and a scarf over the top. I stuck to a palette of blues and grays, which I think looks cool and the layers give the look some dimension. I knotted the scarf- to make a faux infinity scarf- and then looped it around my head three times. It’s such an easy and effortless outfit- and perfect for traveling! I’ll leave you all with a question- what would you add to this outfit to complete the look? I’ve decided to start a new thing on Thursdays- where I ask you all to weigh in on a reader’s request. Since I realize that I am by no means an expert- I figure this is a great way to get other people’s opinions on style questions. Today’s question comes from Jenny. She has a friend who will be starting dental school in the fall and is concerned with what to wear. She needs to go straight from class into the lab- where she needs to look professional. It’s been a LONG time since I was in school (could it really have been 20 years ago? God, I’m old!) and I have never been in a lab- so I’m hoping that some of you lovely readers can chime in. 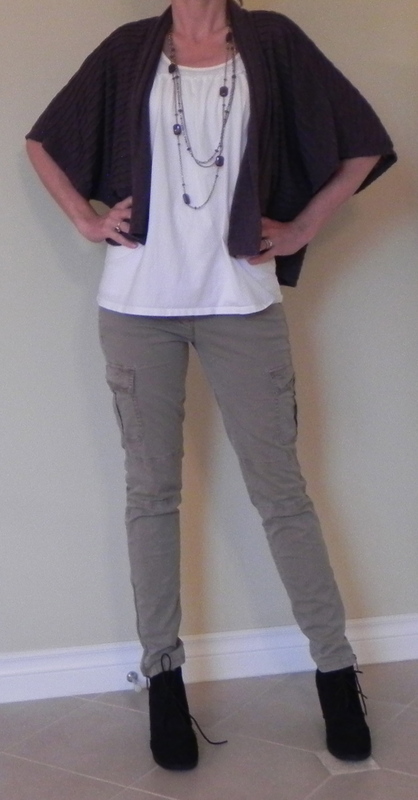 My suggestion is to wear nice, cropped dress pants paired with a cute top, a cardigan and some comfortable shoes. 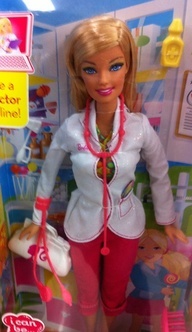 However, you don’t want to look like Barbie, so be sure to get a coat that fits! LOL! This would be cute in class, and then for the lab- remove the cardigan and throw the lab coat over the cute shirt. 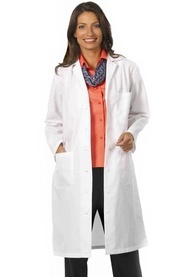 I pulled this from Pininterst- love the skirt and top with the lab coat! This is darling. Wonder what shoes she is wearing? Hopefully something comfy since she’ll be on her feet all day! Here is another great example from Pinterest. 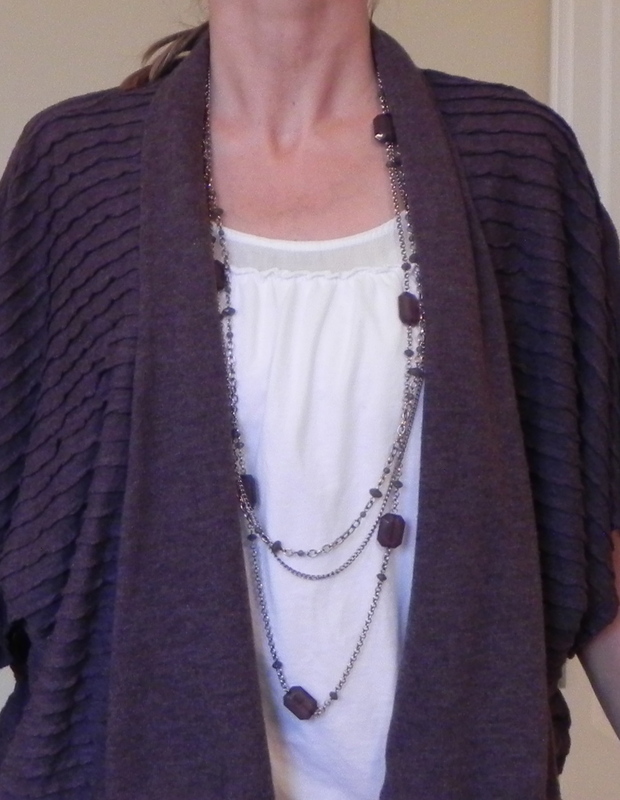 I like the way this outfit is all about the necklace! 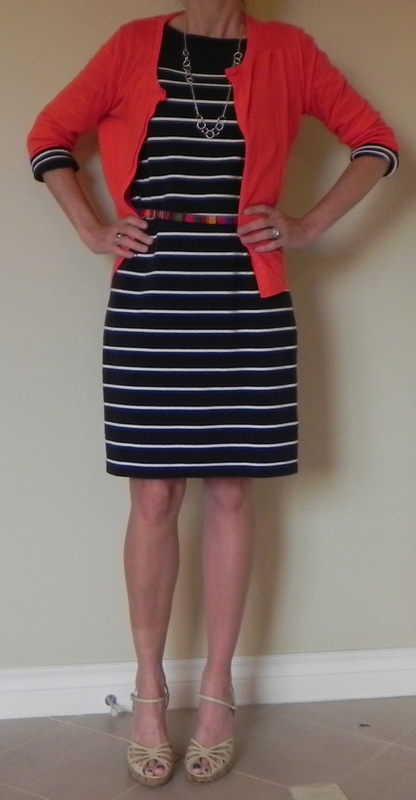 While I love the coral color of the blouse, the style is a little matronly, a tank would be so much cuter! Ok readers, now it’s your turn! 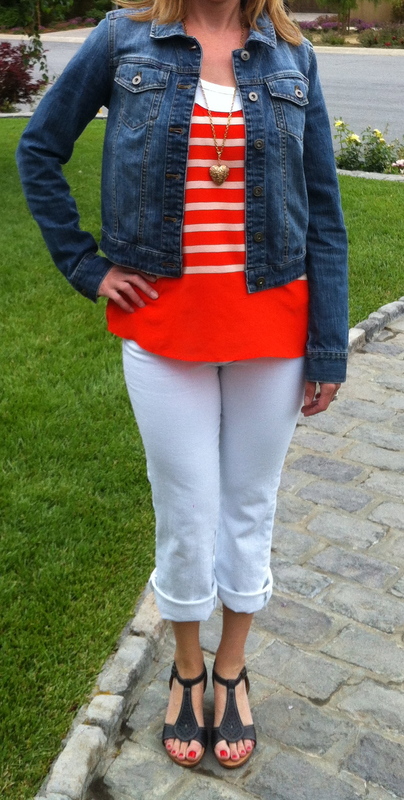 Please help Jenny and comment on what you would suggest wearing to class and then to the lab!